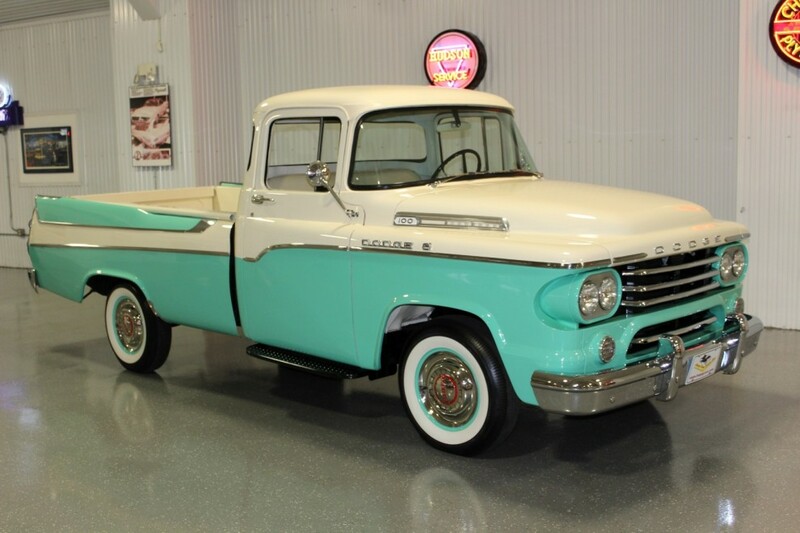 In 1957 Dodge introduced the Sweptside pickup by using the Custom Cab Dodge D100 1/2 ton long bed pickup with the application of the rear side fins from a Dodge wagon, giving it the appearance of a full width bed with classic 50’s styling, including two-tone paint, chrome accents and taillights embedded in classic fins at the rear. 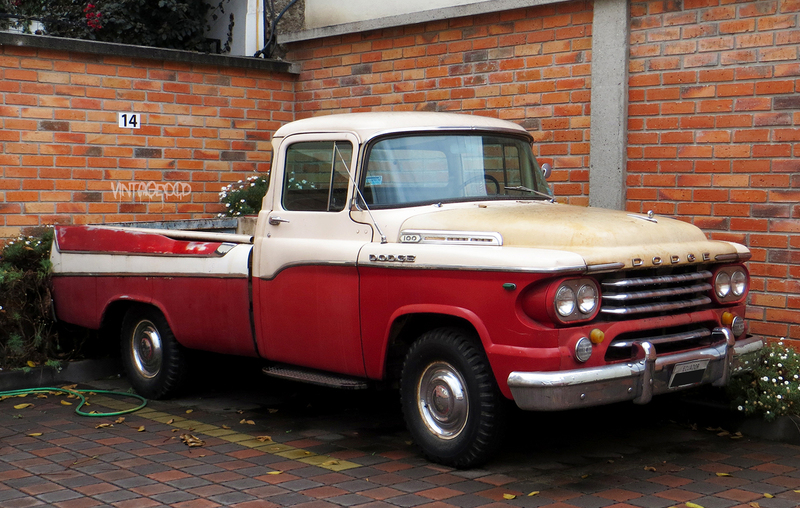 They continued the look in 1958 with addition of a unique new grill with inset horizontal teeth. They only used this grill for a year, and for my taste it was the perfect grill.